Imagine you’re preparing to host your annual holiday party, and you’re past the point of no return. The veggies and meats have been bought. Guests are already braving busy airports and crowded highways to get to your home — and then your oven won’t turn on. Your home-cooked meal has quickly turned into a microwave dinner. That’s just one of many hosting nightmares that can end your holiday party before it even begins. Thankfully, some of the most damaging mishaps easily can be avoided. 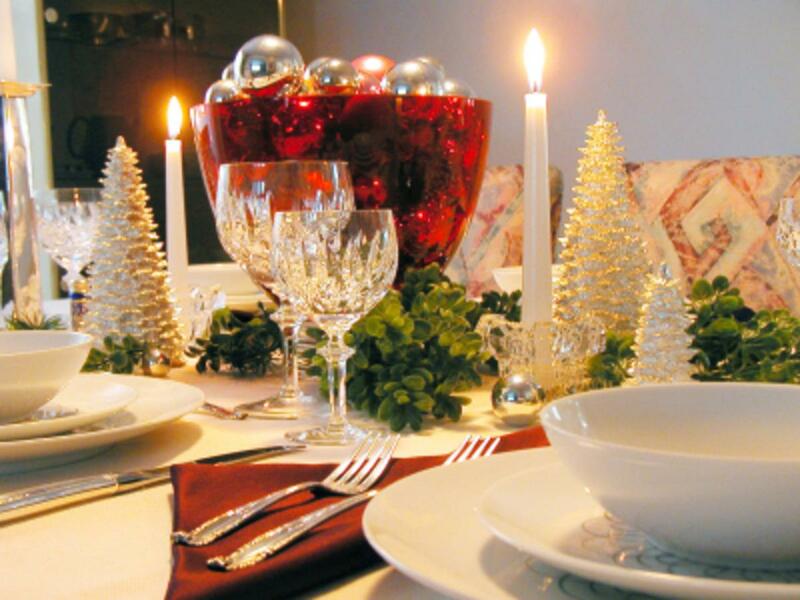 We collected five of the most prevalent issues and give you preventative tips to keep your holiday party on track. For any holiday occasion, the oven is the most important appliance in your house. If it fails to work, the centerpiece of your meal could go from roasted beef, ham, duck, or Tofurky to Peking Duck from the local Chinese takeout joint. There are any number of reasons a stove can break, but one common cause of disaster is easy to prevent. Don’t self-clean your oven until AFTER the holidays. You risk blowing a fuse or a thermostat, and tracking down an oven technician around the holidays can be tough. The day after Thanksgiving is the busiest of the year for plumbers. The prime cause of this clog-a-thon is the mistreatment of drains when cooking holiday feasts. We hope your Thanksgiving went well, and that you avoid clog-a-thons for the rest of the holidays. Fats and cooking oils can solidify in your pipes, so never dispose of them in your kitchen sink. If you have a garbage disposal, make sure it’s running before anything goes in it, and never feed it any stringy, fibrous, or starchy foods like poultry skins or potato peels. To fix, don’t rely on chemical drain-clearing products that can harm your pipes. Use a snake instead, available for $15 at your local hardware store. Best to keep one on hand. As the party’s host, you’re supposed to hang guests’ coats — not apologize to them for having to keep them on. A lack of heat can stop a holiday party dead in its tracks. The key to avoiding freezing your party to a standstill is regular maintenance of your HVAC. Every 90 days, a new one-inch pleated furnace filter should be installed. If you haven’t done it in a while, now’s a good time to replace it. Also inspect insulation on refrigerant lines that are leading into your house. Replace them if they’re missing or damaged. Toilets have a way of clogging up at the worst times, such as during parties and when you have overnight guests. This is especially true if you have a low-flow toilet from the early 1990s. Don’t flush anything other than sewage and toilet paper down the toilet. And there’s nothing wrong with putting up a polite note to remind your guests to do the same. Without a properly functioning refrigerator, your meat could get contaminated, your dairy-based treats could go sour, and you may not be able to save your yummy leftovers. To avoid discovering a warm fridge after it’s too late, take these simple precautions. Get a thermometer for your refrigerator to make sure each shelf stays below 40 degrees and you can be aware of any temperature changes. Also make sure the condenser coils located on the back of the unit or beneath it are free to breathe. Coils blocked from circulating air by cereal boxes atop the fridge, or dirtied by dust or pet hair can prevent a fridge from keeping cool. Article from HouseLogic.com we hope that you found these good tips helpful! Contact us for any real estate needs! We hope that your holidays go smooth and you enjoy time with family and friends!